You are here: Home / Apologetics / Mortimer Takeover and Glory Line Spectacular! 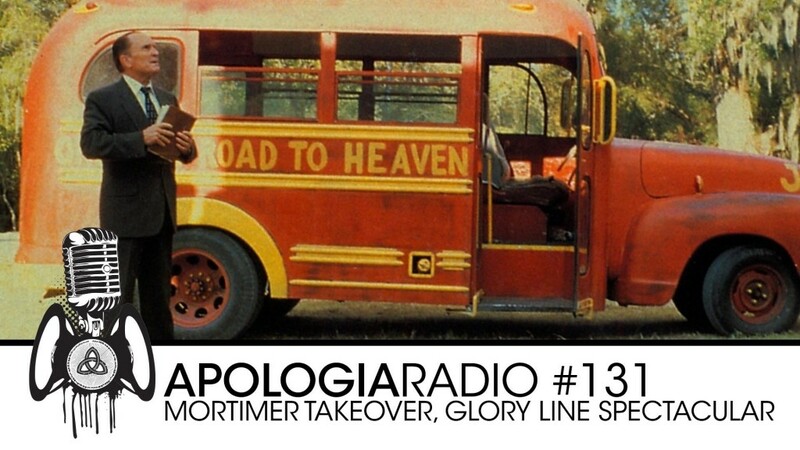 On this crazy episode of Apologia Radio Mortimer stops by and takes over the beginning of the show and it’s awesome. Jerry is here and he graces us with a smorgasbord of impressions. We spend some time answering some questions we got from the Glory line regarding presuppositional apologetics and the use of evidence while Joy complains about the Apostle! It’s a great episode that not only must you listen to, you should share it with your friends like an old fashioned tent revival! Glory! If you want to leave questions for our Glory line dial 909-65-GLORY! Thanks again to everyone who is supporting Apologia Radio, we appreciate each and everyone of you! If you want more Apologia, or just want to support us, sign up for Apologia All-Access! It’s only a minimum donation of $7.95 a month! …I think I’m the only person leaving comments here……. If they claim that it is a defense of atheism, then they’ve put up every religion in the world as “straw men” to keep from defending atheism as-is. For them to ask that question with any integrity, they have to acknowledge that atheism has failed, because they have abandoned defending atheism. That’s a good word, Zac.